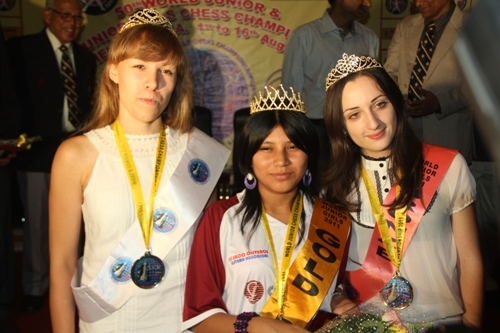 Poland’s Grandmaster Swiercz Dariusz and Peruvian WGM Cori T Deysi emerged champions in the SDAT- Ramco 50th World Junior & 29th World Junior Girls Championship organized by Tamil Nadu State Chess Association at Hotel Vijay Park, Chennai here today. Tournament leader Robert Hovhannisyan of Armenia settled for the Silver medal, as his final round draw pulled him down from the top spot. 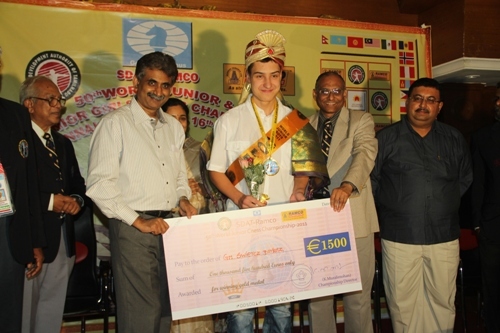 India’s International Master Sahaj Grover (9.5) from New Delhi, who scalped two successive GMs in the final two rounds, emerged a clear third. 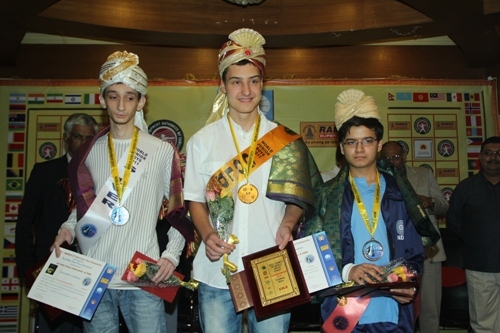 Sahaj won the bronze medal along with a Grandmaster Norm and restored pride for the hosts, India. 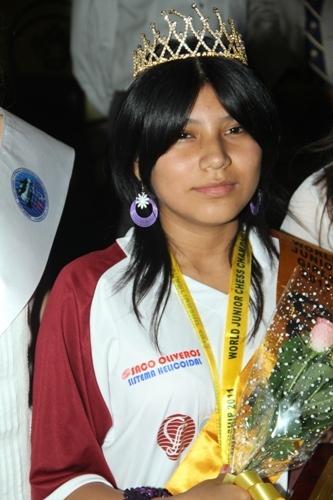 Woman Grandmaster Cori T Deysi, with 11 points, emerged the World Junior Girls champion. Cori owes a big thanks to India’s Padmini Rout, who defeated leader Olga Girya in the final round. Olga’s defeat enabled Cori to overtake the Russian, and emerge a clear winner. 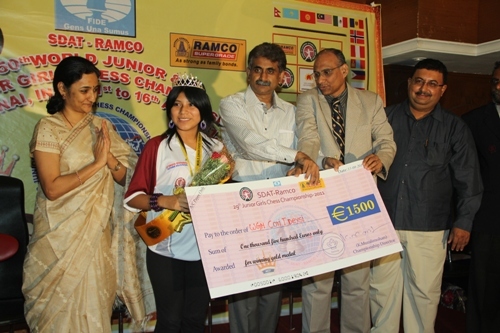 This is the first time a player from Peru has claimed the World Junior Girls title. 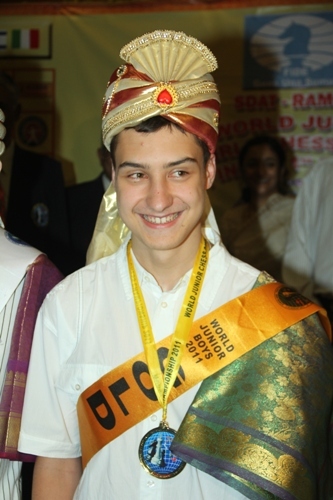 The final round also saw two 13 game Norms being made, a Grandmaster Norm for India’s International Master Sahaj Grover and an International Master Norm for the FIDE Master from Brazil Barbosa Evandro Amorim. The 50 nation, 200 player event came to a grand conclusion on the Indian Independence day.